Click here to visit our online store Lotus Vault for all your Magic: the Gathering needs! Location is Saint Louis Park. Noon reg, 1pm start. Location is Minneapolis. Start time is 10am. Location is Crown Aire Plaza in Bloomington. 9am registration, 10am start time. This event is at all 4 stores. Starts midnight after Friday Night Magic. This event is at all 4 stores. 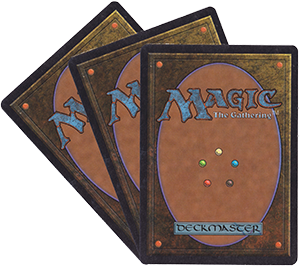 Regular sealed deck is at 9am and 2pm. 2 Headed Giant is at 7pm. Location is Champlin. 10am Registration, 11am start time. This event is at all 4 stores. 3pm start. This event is at all 4 stores. Sealed deck at noon and 2 Headed Giant at 5pm. Location is Minneapolis. Noon Registration, 1pm start. 5/4 War of the Spark Draft Weekend. This event is at all 4 stores. 1pm start. Locations are Saint Louis Park and Minneapolis. All day. 5/5 War of the Spark Draft Weekend. This event is at all 4 stores. Noon reg, 1pm start. Copyright © 2019 Dreamers Vault Games, Inc.